A hardy band of Serve On volunteers braved Storm Erik to provide safety cover for the famous Dragon Rally in North Wales. The mud-spattered Serve On flag still flew in spite of one of our disaster response tents being blown away by the gale force winds at the Dragon Rally in Snowdonia. The UK’s longest-running bike event is famed for its toughness and spartan facilities - ideal for disaster response and severe weather event training. The organisers of the first Dragon Rally, back in 1962, deliberately chose to hold it on the second weekend in February as, statistically, it offered the best chance of the worst weather. This year’s conditions didn’t disappoint. Bikers from across Europe, and even as far as South Africa, flocked to the site beside the River Llugwy, near Capel Curig, in Snowdonia, for the Saturday event. Serve On members from the International Response Team, Community Resilience Team and Dog Team had already arrived the night before, shortly after the recently flooded river had subsided but as the storm force winds were picking up. Pitching their two sturdy 12x12 tents in the darkness, they put in extra pegs and straps to account for the weather but, with winds reaching 76mph - equivalent to Force 12 on the Beaufort Scale - the occupants of one of the tents were woken at 3am by their accommodation being ripped away by the gale and landing 20m away. 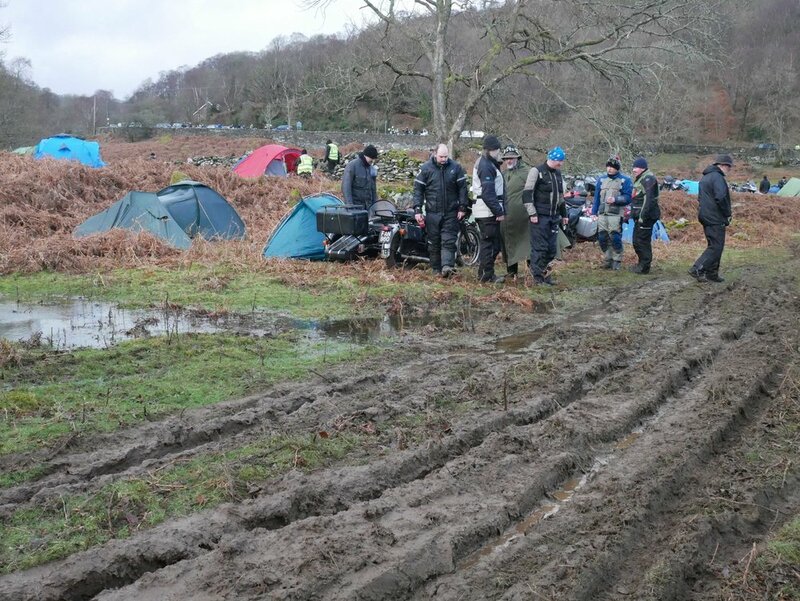 Serve on volunteers from the International Response Team, Community Resilience Team and Dog Team braved Storm Erik to provide safety cover at the famous Dragon Rally in North Wales - and to help a few bikes through the mud. 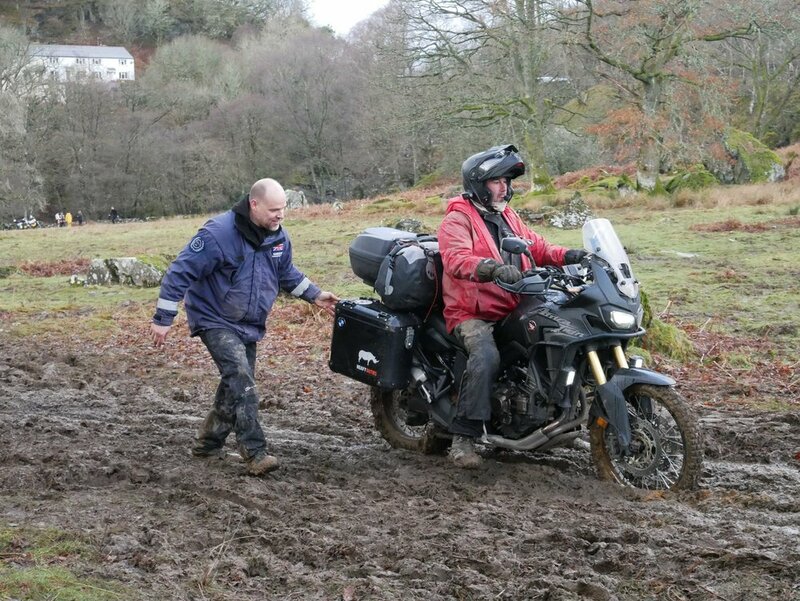 Fortunately there were no casualties and the team were ready in the morning to start helping visitors through the increasingly churned up mud on the site.as the bikers looked for somewhere on the sodden ground to pitch their own tents. Frequent hail and sleet showers through Saturday and Sunday morning helped to maintain the Dragon Rally’s formidable reputation and they were in stark contrast to the warm welcome from Andy Day and his excellent team from the Conwy Motor Cycle Club. With just a few minor injuries to deal with over the course of the event, it was a very successful weekend.